Satellite imagery of Hangzhou Bay shows that China has recently renovated a reserve airfield for dedicated drone operations in the East China Sea. With military aviation being a priority, China’s been slowly moving toward operating more capable UAVs. Analysts and policy wonks alike have little doubt those capabilities will be put to good use as China develops a more assertive foreign policy. In fact, they may already have. Space snapshots acquired by DigitalGlobe from April 2015 show three of China’s BZK-005 parked in front of aircraft shelters on Daishan Island, located just off the coast in the East China Sea. The platform’s associated ground control stations were parked nearby. Imagery suggests they’ve been operating from the airbase for at least two years—not surprising given the government called for the development of 11 new drone bases to be positioned along its 14,500 km coastline back in 2012. At the time, Colonel Li Jie, a strategist at Beijing’s Naval Research Institute, suggested they would be used to “track any foreign aerial vehicles within [China’s] maritime territory” — a comment probably aimed at U.S. drones. However, with territorial disputes in nearby waters, they’ve also been used to create friction with China’s neighbors. In September 2013, for example, Japan’s Self Defense Force scrambled fighters to identify what it described as an “unknown aerial vehicle” flying toward the disputed Senkaku/Diaoyu islands. The Japanese Ministry of Defense released handhelds that revealed the drone as the BZK-005. 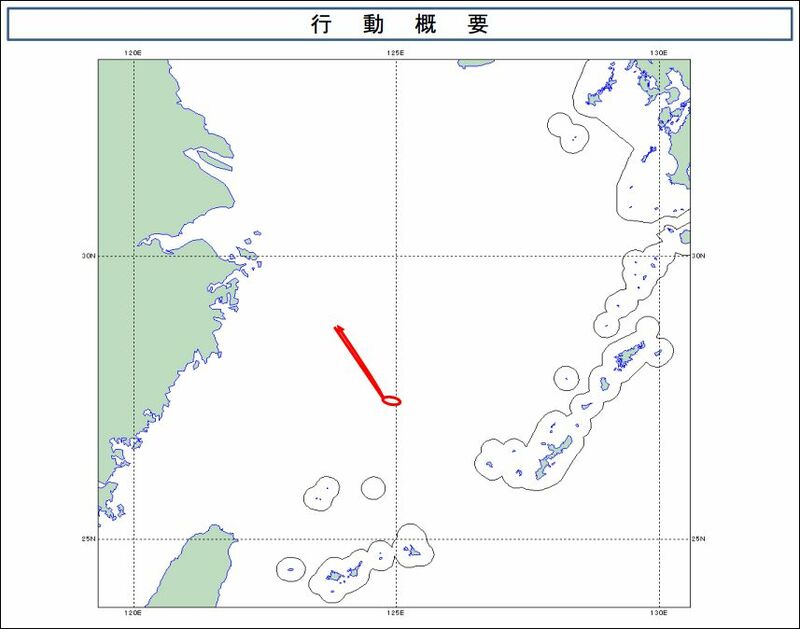 Given the time-frame of the incident and the azimuth of flight, it seems likely the drone flew from Daishan—a detail not previously disclosed. 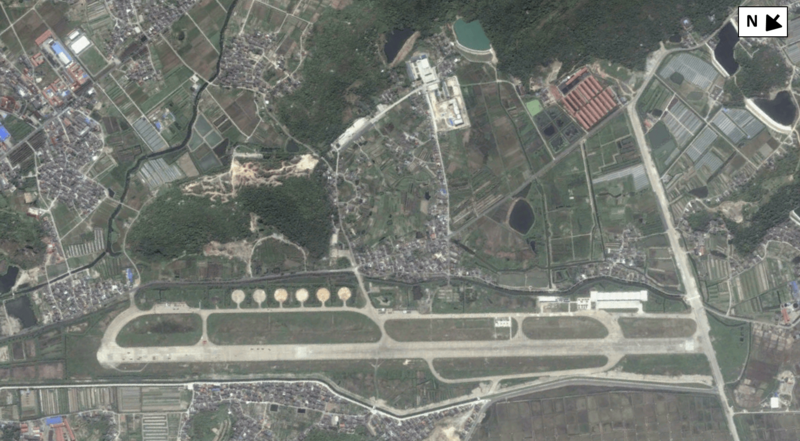 According to historical imagery, China began renovations at the airfield patching concrete runway tiles and removing encroaching vegetation between mid-2010 and 2013. At the same time, authorities constructed two new support areas. Located near the south-end of the runway, the first area features seven aircraft shelters, each measuring approximately 22 x 27 meters. Those dimensions suggest each shelter could potentially house at least two of the UAVs. The second area, located less than 800 meters to the east, probably supports a barracks and a motor pool. Construction activity at this location was ongoing in early 2015. The Daishan airfield is one of the few dedicated facilities for drone operations known in China—though mobile ground control stations are increasingly common at other airfields. While China’s growing economy has allowed it to translate economic gains into military capabilities, it still has a ways to go in order to close the gaps with its more capable competitors. But given the specs of the BZK-005, China is moving in the right direction—to say nothing of its more advanced models. The BZK-005 is a medium altitude long endurance drone with a reported flight ceiling of 8,000 meters, a max range of 2400 km and a maximum endurance of 40 hours. Despite it being a strictly reconnaissance drone, such capabilities have led most to compare it with the U.S. MQ-1 Predator. While such UAVs won’t be sinking ships or hitting ground targets, it represents China’s first step to put unmanned eyes in the sky to monitor nearby territory it wants to control. Given recent developments in the South China Sea, it’s bound to step on the toes of its neighbors sooner rather than later. This entry was posted in China, Chris B, Drones, English, Intelligence, International, Security Policy.